Electronica with an organ riff?? Yes, please. I’ve loved this jazzy dance track for years; it’s soulful and naughty with just the right amount of funk. 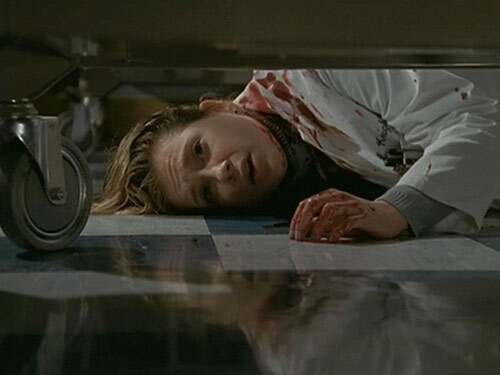 Imagine my surprise, then, when I was flipping channels the other night and there it was, perfectly accenting the chilling last scene of an old “ER” episode. Remember when cutie-pie Carter and his impressionable intern Lucy were stabbed by a mental patient? Carter falls to the ground in pain and suddenly sees his young charge staring back at him, motionless on the floor in a puddle of blood. “Trauma, trauma, trauma…” goes the soundtrack. Brilliant!